Harry Anslinger was the first head of the Drug Enforcement Agency, retiring at age 70 during Kennedy’s term. He died at 83 in his hometown of Altoona, Pennsylvania in 1973, completely blind and suffering from angina. The exact words may be disputed, if he used “satanic” as an adjective or not to describe their marijuana-driven music, but few can dispute the racist origins of the cannabis legislation that has landed millions behind bars for what has added up to thousands of years. 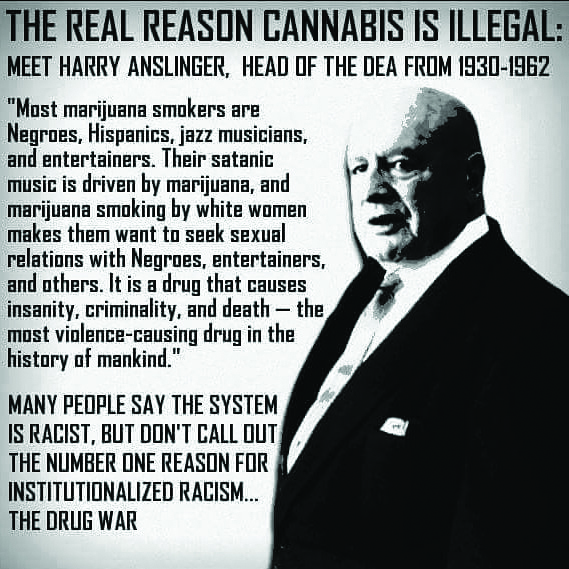 Harry Anslinger, First head of the D.E.A.